Pioneer Electronics have updated their AppRadio app to version 2.6 today. Support for additional languages has been added along with one big addition. The app is now fully compatible with the iPhone 5C and 5S. 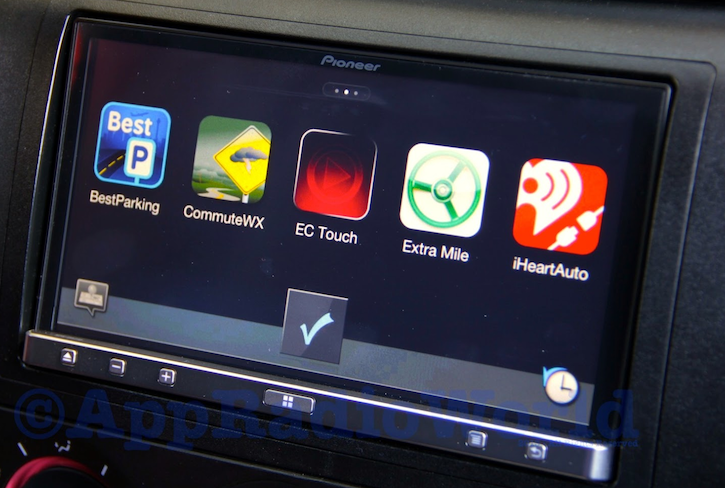 iPhone 4 and 4S users running iOS 7 who own first generation AppRadios (SPH-DA01 and SPH-DA02) will have to download and install the latest firmware from Pioneer's website for their head units. The firmware update has been available for a while now. First generation AppRadios are still not compatible with lightning devices though. - Now fully tested to work on iPhone 5C and 5S. - SPH-DA01/02 users: Firmware for iOS 7 compatibility is available from your local Pioneer website. - Additional language support: Thai, Hebrew, Arabic, Chinese, Traditional Chinese. Just a word of caution. Make sure to determine the correct region and model number of your AppRadio before performing any firmware updates. Use the corresponding firmware files only. Using improper update files can cause the device to get bricked and render it unusable. You can download the latest version of AppRadio from the App Store today. This update didn't fix the screen resizing issue that happens with an iPhone. To prevent that from happening, turn off the "Background Apps Refresh" option located in Settings - General. Also, before using the AppRadio app, try to close all the apps running that you are not using. To do that press twice the Home button to bring up the multitasking menu, and start dragging to the top each of the apps that you want to close. That will do the trick. Too bad for Pioneer that they didn't hear it's customers complains.